Thursday afternoon’s news that Tribune Publishing’s board of directors had rejected a purchase offer by the McClatchy Co. has to come as a relief to most readers and employees of McClatchy’s 29 daily papers, including The Star. McClatchy has been trying to cut its way to profitability since it purchased the Knight Ridder chain for $4.5 billion in 2006, and its print-to-digital effort has not gone well. And so, the prospect of McClatchy — some $800 million in debt — acquiring a significantly larger newspaper company just didn’t make sense. The company obviously was able to tap into a funding source — perhaps a hedge fund — but I think it lost its edge after Patrick Soon-Shiong, who holds a 25 percent share in Tribune decided against throwing in with McClatchy. 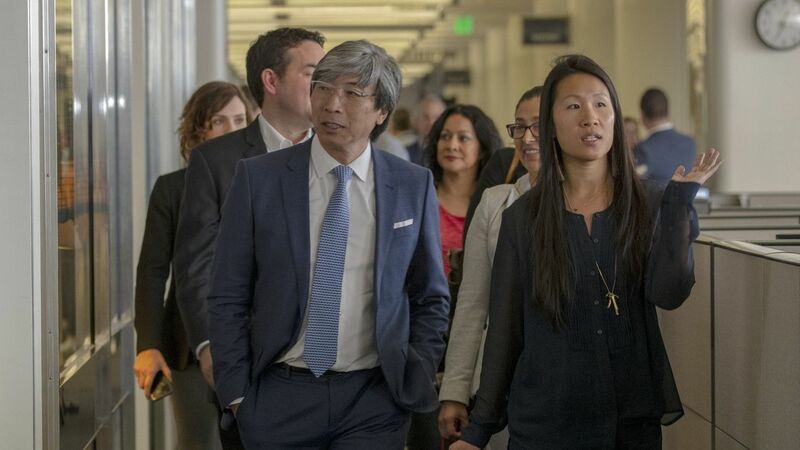 Earlier this year, Soon-Shiong, a surgeon, entrepreneur and philanthropist, purchased the Los Angeles Times and San Diego Union-Tribune from Tribune for $500 million. In the heady weeks after that purchase, he reportedly was interested in teaming up with McClatchy to buy Tribune largely because of McClatchy’s string of California papers. The New York Post reported late last month, however, that Soon-Shiong had cooled to that prospect because of a declining print and digital audience in LA. In other words, he got a taste of the new reality that McClatchy has been dealing with since 2006. With McClatchy out of the picture, the odds-on favorite to purchase Tribune is the combined team of the Donerail Group, headed by former hedge fund Will Wyatt, and AIM Media, a fast-rising company that owns papers in Texas, Ohio, Indiana and West Virginia. AIM is headed by Jeremy Halbreich, former president of the Dallas Morning News and former chairman of the Chicago Sun-Times. To me, this looked a lot like a Hail Mary pass. A desperate attempt to make some waves and start over with something resembling a clean canvas. But now, with the pass falling short and given the depressing way things have been going, bankruptcy appears all the more likely for McClatchy. As far as I know, no other chain is up for sale, and it would be difficult, anyway, to simply switch streams and reach out for another chain. Should McClatchy file for bankruptcy, it could either be purchased wholly or broken up, with its papers sold individually or in smaller groupings. A break-up is the scenario I’m hoping for because it would offer the best chance of a deep-pocketed “angel” swooping in, buying it and attempting to restore it to its former status as a key element in the Kansas City fabric. Reaction to Thursday’s development on the Kansas City Star Bylines Facebook page was not sympathetic. No, McClatchy hasn’t won many fans here in Kansas City — nor, I would imagine, in any of the other cities that had Knight Ridder papers. Not that being owned by Knight Ridder was a bowl of cherries, but I don’t believe there were any layoffs during the years KR owned The Star. And in the end, Knight Ridder got lucky: Its board decided to sell after a major, disgruntled stockholder agitated for it, complaining that Knight Ridder stock was not performing as well it should have. In the sale to McClatchy, Tony Ridder, Art Brisbane and other top KR executives made millions and walked away contentedly. At The Star (and the other KR papers) we didn’t realize it at the time, but the misery was just starting. I know your focus is on The Star, and that’s understandable since it is the major player in our region. But McClatchy’s catch and kill – or mortally wound — strategy with the satellite suburban newspapers in the area, like the Cass County Democrat-Missourian, the Belton Star-Herald, the Lee’s Summit Journal and the Olathe Daily News have done as much or more to destroy journalism locally. Where 30 years ago there was a robust competition among newspapers to shine a bright light on incompetence and corruption, there now exists only twilight. In some corners (Olathe, Lee’s Summit, Harrisonville/Cass County), reporting is sparse or nonexistent. Some upstarts have come on the scene to try to replace once-healthy publications, but its an uphill battle, lacking the funds and staff members needed to adequately scrutinize local governments. This is the damage done by corporate greed. The truth well put, Mr. Porter. Steve raises a great point. An important one too. McClatchy’s contribution to the Kansas City community has been nothing but unemployment and darkness. But let’s remember that McClatchy didn’t shut down the Johnson County Sun, the College Boulevard News and the Shawnee Dispatch. I don’t know about the Shawnee Dispatch, but the Sun and College Boulevard News weren’t paid-subscription newspapers, were they? I don’t mean that to diminish their journalistic efforts. Steve Hale, Stan Rose, the now-late Rob Roberts, Steve Rose – all toiled in the vineyards of print with excellent results. I recall when 17th and Grand decided to no longer publish the Times, and for a brief period the Rose family attempted an alternative daily in the belief there was a hungry market for yet another daily in Johnson County. Failed. Later on, Harris Enterprises poured a million dollars into the Olathe Daily News, buying a new Goss Urbanite press and a bolstering the news staff. Failed. Gold Coast always seemed a promising market, but yielded only pyrite. Thanks for that Saturday morning vocab “jewel,” Steve! Iron pyrite = fool’s gold. Mom was a geology major at M.U. Pyrite. You learn something every time you read jimmycsays, don’t you?